In the foreword to this re-released book on writing, Carmel Bird has written a short note about the place of a book on the art of writing in a rapidly changing technological world. (And if you don't know already, the digital age is both a blessing and a curse for writers.) She recognizes the futility of trying to publish a book that includes an in-depth analysis of the place of blogging, Tweeting etc etc., seeing as in the time it would talk to write, edit and print such material, the subject matter will have changed again. Yet, there is some measure of involvement, isn't there? Because the team at Spineless Wonders have approached a network of bloggers all over Australia to read, to road test, and to critique the book, taking it into a truly digital framework. As for the book? Well, that's all about the basics. It's important to realize that all the blog and Twitter followers in the world are not going to make you a good writer. Neither, for that matter is simply being taught to write. Yes, it can be done. People can be taught to write as much as they can be taught to sew, or sing, or swim; the degree of talent with which it is done depends on a number of things, including determination and a well stocked kit of tools. * to read a lot. This introduction is near perfect. It both recognizes the feeling that most writers have, that they are something special, or that they can do something special, while also postulating that, actually, anyone can be admitted into this club if they are prepared to put in the hard yards. It lays out the structure of the book, tells you what you will need, and warns you what sort of an investment you are making. In other words, if upon reading the foreword, you are not filled with enthusiasm for the project ahead, you can stop reading before it is too late. All within a few pages. Peppered with quotes along the way, the book is grounded in the canon of books on how to write, and surrounds itself in a context that invites the reader to enter the world of the professional writer. 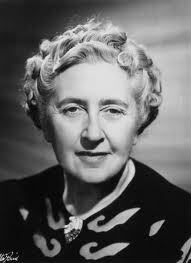 So you want to be Agatha Christie? What's wrong with being yourself? Letter One is all about Writing What you Know. Possibly one of the most cliched bits of advice on writing I have had the misfortune of being told again and again and again. The reason that this snippet will so frequently elicits groans of distaste from writers is because it is always used in the wrong context. For so long I laboured under the misapprehension that writing what you know meant you could only write about things you had actually done, people you had actually meant and places you had actually been. Not so. By starting with this most over-used piece of advice, Dear Writer Revisited strips back the common booboos so that as writers, we start on the right foot. Virginia explains to her writer correspondent that the reason her writing stagnates is because the plot reads like something she's appropriated from somewhere else rather than something she's emotionally connected to. On the plus side, her character Amelia is appealing because she has the kind of depth that shows Writer has encountered her in real life. This demonstrates Virginia's point about writing what you know. Experiences translate, as can research. It is important to find a balance between lived memories and leaps of imagination. Virginia cites Peter Carey as an example and I can only assume she is talking about The Fat Man in History. She provides Writer (and us) with two opportunities to practice tapping into our bank of stories, and to practice the art of storytelling that goes with it, reminding this writer of that Hitchcock quote, that fiction is "Life with the Dull Parts Taken Out." Already, Dear Writer Revisited is off too a strong start. Hey are you doing this as an official blogger for the book or just because you want to? Don't know how official the whole process has ended up being but I am doing this in affiliation with Spineless Wonders. They're pretty much given me freedom to reflect on the book in my own way so I am treating it like a month long course. ah yes, I'm supposed to be doing this too but didn't know we had started! There was no guidance whatsoever. But reading your responses is making me really want to start the process for myself.